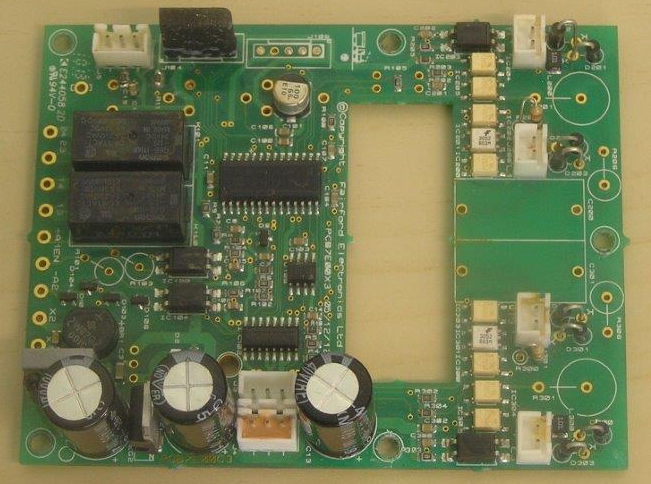 How Can I create the best environment for inspecting conformal coating on circuit boards? The ideal environment for inspection of conformally coated PCAs is within an inspection booth of some description. The work station should be designed to be comfortable as the operator needs to concentrate on the operation at hand. If you provide the perfect conditions where an operator can easily inspect conformally coated circuit boards without fatigue to body or eyes then this will provide the highest quality results for the conformal coating process. The booth will provide a darkened area with a UV light fitted inside to allow the fluorescing coating to be examined. Also, the UV light used should be screened from the operators eyes since this could have health issues. Finally, the environment needs to be safe to use. It should be possible that extraction can be fitted if required to take away any solvent fumes produced due to solvent based coating being used within the confines of the booth. SCH Technologies have designed, manufactured and use a range of purpose-built, compact UV inspection & finishing booths for conformal coating inspection that have been optimised to offer the best inspection environment without compromise to health & safety, coupled with ergonomic design to minimise operator fatigue. What is the best wavelength range for optimal stimulation of the fluorescent effect in the conformal coating? The optical brightener within the conformal coating will glow at a wavelength range between 300-400nm. That is what most of the manufacturer of UV lights are specifying in their tubes and is classed as UVA light. However its maximum peaks are at 365nm and 450nm. ﻿Can the IB100 Inspection Booth be used in ambient light or does it need to be in a darkened room? The single & double inspection booths can be used in ambient light and have UV tube lights built in. the system was designed for inspecting PCB’s with a UV trace present in the coating and as such is black inside. However, additional light shielding may be advisable if the ambient light is very bright as it works better in the dark. Click Conformal Coating Inspection Equipment FAQs to find out more about this and other issues relating to the process. Just how do you Inspect your Conformal Coated Printed Circuit Boards? Conformal coating inspection is the final and one of the most important stages of the conformal coating application process. But it is still to this day a process that 99% of companies complete manually. So, why is this the case? In general automated conformal coating inspection is a difficult process. Inspecting a UV fluorescent, transparent coating on top of a complex 3D PCB is not the simplest process for an Automated Optical Inspection (AOI) system. Until now. Modus now offer automated conformal coating inspection systems which work and operate to the IPC criteria in an effective manner. It is has took a lot of development for them working in conjunction with coating companies but the result is a range of systems which successfully inspect PCBs, is practical to use and is realistic in pricing. Now, SCH is working in conjunction with Modus to offer these systems globally. 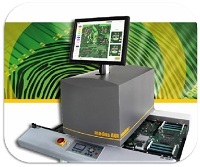 So, if you want to remove the final manual process from the conformal coating line you should contact us directly click Modus Automated Conformal Coating Inspection to read further information on these systems.